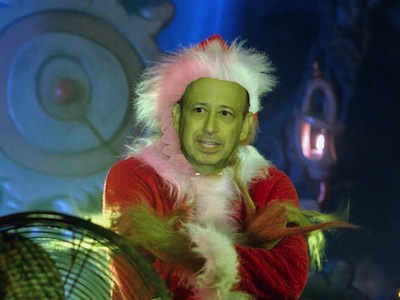 Goldman Sachs employees received a voicemail announcement instructing them not to organize private Christmas parties for the firm's employees even at their own homes, a person familiar with the matter said. The firm has canceled its annual holiday party, just as it did last year. It also instructed the smaller business units that they should not organize their own smaller parties, which had been a long tradition at the firm. The parties are banned even if no firm money goes to pay for them. But Goldman employees were surprised to hear that even parties within private homes fall under the ban. The firm apparently believes that it would be inappropriate for its employees to be seen partying while the economy is still so shaky and unemployment is so high. Presumably, the ban only applies to gatherings organized as semi-official holiday parties for Goldman employees. We can't imagine that Goldman would tell employees they can't have a few friends and family over for a tree-trimming party.